After he monopolized during four months the head of the ranking of the Global Poker Index (GPI), Jason Mercier gave his place to the German Marvin Rettenmaier during last week. As he occupied the second place of the ranking during the same period, the German became the n°1 of the GPI 300 this week, following his recent performances at live poker tournaments. Last week, Marvin Rettenmaier brought in fact a new title in his prizelist, with a victory in Ukraine during the Eurasian Poker Tour. This event at $2,000 gathered 159 players, following the example of Chino Reem and Alexander Kravchenko, two great champions of live poker, respectively at the WPT and at the WSOP. Marvin Rettenmaier pocketed $73,390 for this getaway in Kiev. Jason Mercier is in the 3rd place, just behind Daniel Negreanu who realized a jump of five places. In the 4th place of the ranking of this week, we find Philipp Gruissem (+1), followed by Joseph Cheong (5th, -1), Ole Schemion (6th, +4), Mike Watson (7th, -1), Stephen O'Dwyer (8th, -5), Igor Kurganov (9th, -1) and Paul Volpe (10th, +1). In the classification of the GPI Player of the Year, Marvin Rettenmaier occupies the 10th place, while Ole Schemion is the leader, followed by Daniel Negreanu and Mike Watson to conclude the podium. 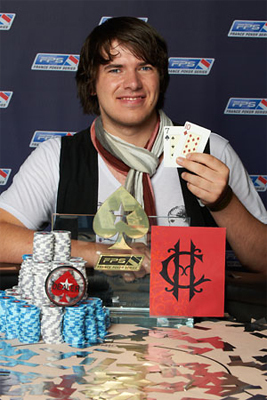 Other renowned poker players are also in the Top 10, for the title of Player of the Year, namely Paul Volpe, Steven Silverman, Jonathan Duhamel, Steve O'Dwyer, Bryn Kenney and David Peters.